So seeing as this is my first post on The Gaitpost I think a proper introduction is definitely in order. I am a young event rider and my name is Pumbaa Goess-Saurau – and yes, you have read that right, Pumbaa as in the warthog from The Lion King. As a baby, Mum’s somewhat ‘advanced’ sense of humour meant that my first teeth were dubbed tusks, and so the nickname stuck. My real name, Franziska, equally as unnecessarily long as my surname, comes from my Austrian father – as you can imagine I’ve never really enjoyed introductions, the endless bemused faces and ‘sorry what’s?’ have become a little tedious after 17 years! As for my equestrian background, I can never remember not riding. 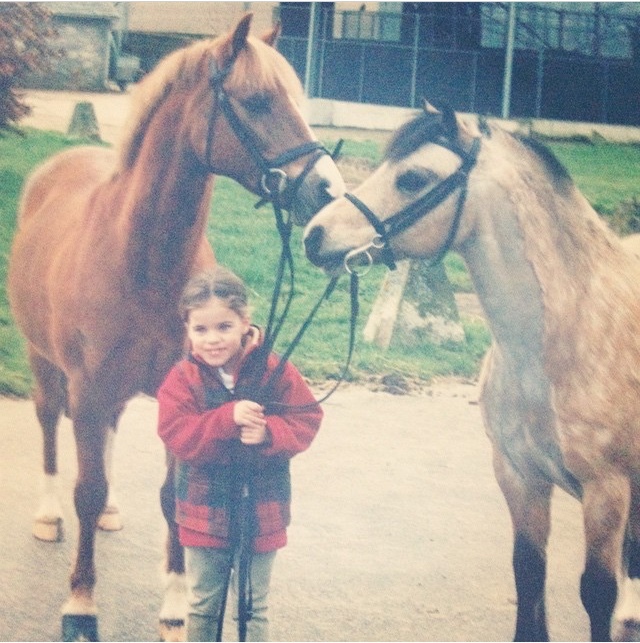 Mum had a training license (for Racehorses) while I was growing up so horses have always been a constant presence at home and it wasn’t long before the eventing bug kicked in and I was hooked for good. In 2009 things started to get more serious when we bought the legendary Killacoran Blue, or Toddy to his friends. 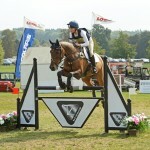 Our 5 year partnership saw 2 caps on the British Pony European Event Team and the real kick-off of my eventing career. As a 12 year-old who barely knew what ‘seeing a stride’ meant, let alone how to actually do it, it is fair to say that Toddy taught me pretty much everything I know. So, enough of the past, let us venture into the here and now: I am currently in my last year of school (there is a God! ), so my life is a bit of circus act, to say the least, juggling A levels (in French, English and History) and horses. 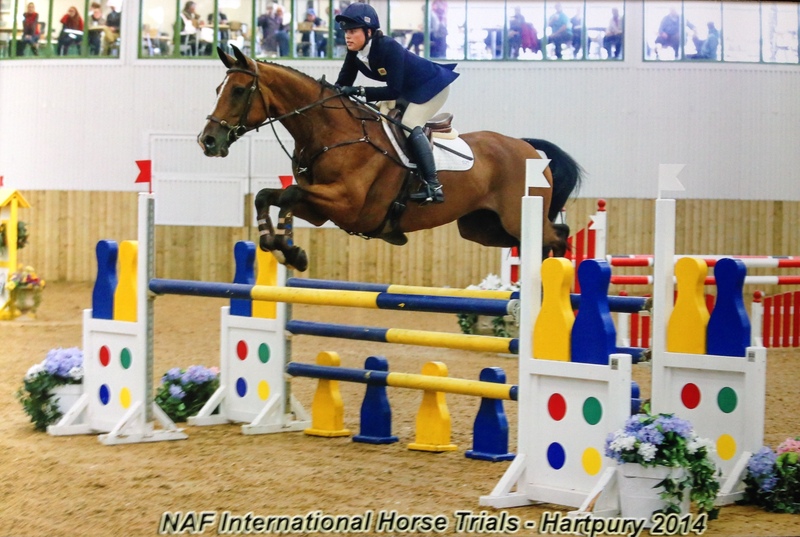 Last year was my first year solely on horses – initially successful with a place on the long list for The Junior European Team and then, well, then horses happened! 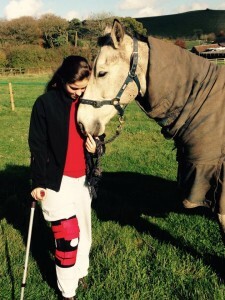 True to their unpredictable (and incredibly frustrating) nature the rest of my season didn’t quite go to plan as my best horse threw a splint. Nonetheless, we’re bouncing back and I’m setting out for the 2015 season with all guns blazing. This year I have got 3 (and a half) horses to campaign. First of all there is Georgia Williams’ wonderful Kenny; he is new to me this year but after a winter’s training we’re really starting to gel so I am very excited for the season ahead with him. Next there is Mickey, or ‘Super Brat’ depending on how annoying he’s being – if he were a person he’d be like Louis Walsh; lovely but irritating beyond words; at a competition he can’t be left alone on the lorry, well, not if we want to drive it home in one piece anyway. Mickey, as with my third ride, Dell Boy, will be campaigning in Junior Trials this year. Dell ‘The Wonder Dun’ is, and I have no shame in saying this, the love of my life. He truly is a little machine, last year we completed our first ever Intermediate together, and this year I hope to do our first CIC** together! And as for ‘the half’, I’m sure you’re wondering! That would be Reebee, the OAP of the horse world. 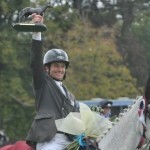 In his day he went round 6 CCI****’s, now when we pull him out his box it’s a question of which leg he’s NOT stiff on! However, he still bounces round like a 5 year old and this year we’ll just be show jumping him, so hopefully he can teach me a trick or two round some bigger tracks! Unfortunately last October I had to have a knee operation to replace my cruciate ligament, ironically not to fix an injury from our own nutty sport, but from hockey – I tried to be clever in a tackle…my knee and brain didn’t cooperate. I don’t think I realized going into the op quite how much hard work recovery would be. During the first couple of weeks the painkillers had me on another planet – to say I was over-emotional would be understatement of the year; someone sneezed and I’d cry. 3 months down the line and slowly but surely I am pretty much back to normal, bar an extremely attractive 3 inch scar running down my knee…farewell skirts and dresses, it was nice while it lasted. With recovery close to complete I have been out and about doing lots of training with my boys. Caroline Moore, coach for the British Junior team, runs clinics most weekends, so the Unicorn Centre has recently become our second home! Amazing school but a microclimate similar to that of Antarctica – funnily enough I’m quite attached to all 10 of my toes so the whole near-frostbite situation doesn’t really agree with me. However, the sessions are the perfect way to get back into gear for the event season. 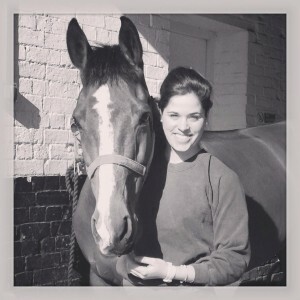 Caroline builds some crazy lines that test both the rider’s trust in the horse, and the horse’s trust in the rider, so by the time the season starts you’ve built up a fantastic partnership. 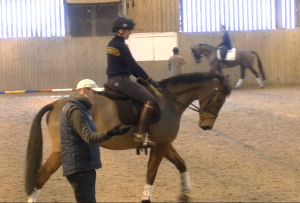 I was very kindly invited to BEF’s Excel Talent Training so for the last 2 days I’ve been at Hartpury College enjoying tuition from some fantastic trainers; Nick Burton, Corrine Bracken and Caroline Moore. On the Tuesday Kenny came out ‘a little’ fresh in his flat lesson – to put it bluntly it was like someone had put a rocket up his bottom. It seems him and Dell had a discussion on the lorry as the Wonder Dun was quite literally on flying form too; he pinged round a very decent set of show jumps so I was thrilled with him. 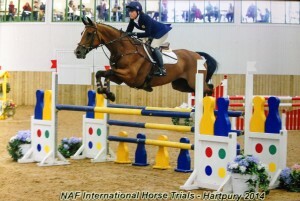 Day 2 was fantastic from both horses; Kenny was much improved on the flat and jumped like a DEMON! Dell similarly flew round Caroline Moore’s simulated cross country like a proper pro – delighted doesn’t come close! Overall it has been a really fun and useful couple of days, I learnt a lot and it was great to catch up with all my eventing mates who I haven’t really had the chance to see much over the off season. We are off to Moreton this weekend for the start of the season and I can’t wait! So that’s me! I’m really excited to be doing this blog. It will be nice to write about something other than Shakespeare or Stalin for a change!